It’s a groundbreaking genetic engineering technique normally reserved for research labs, but this year more than 40 undergraduate students in the Faculty of Arts & Science's human biology program had a chance to work hands-on with CRISPR, a research tool helping to revolutionize the field of molecular biology. Often described as a word processor for DNA, CRISPR allows scientists to modify the genetic makeup of cells by adding, removing or changing sections of DNA – think cut and paste editing of an organism’s genetic sequence. Students were tasked with using CRISPR techniques to change the genetic makeup of cells that would normally appear blue by modifying their DNA so they’d appear green under a fluorescence microscope – something his class was more than a little excited to take on. 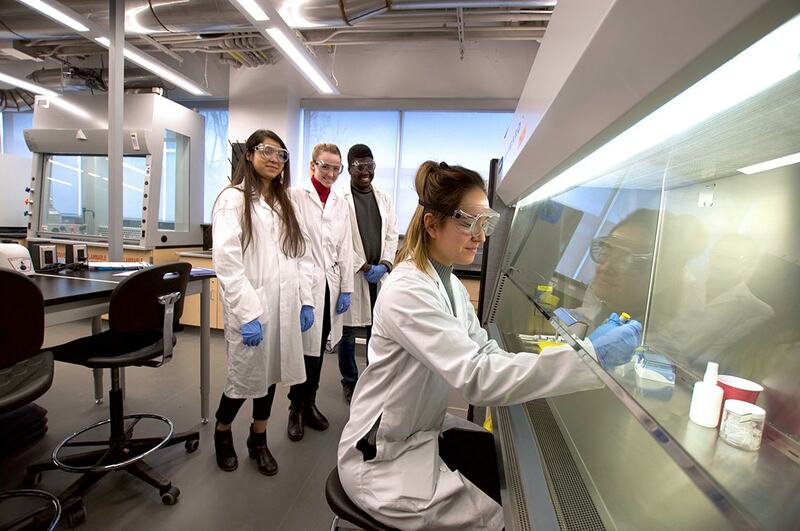 Dias wanted his students to experience techniques being used in research labs right now, especially since human biology’s new labs and state-of-the-art equipment are up and running in Ramsay Wright. This was not lost on his students. And for Dias, it’s about setting the future generation of scientists up for success.